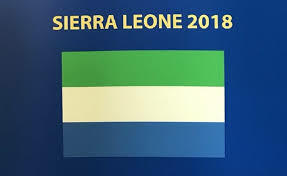 With only a week to the March 7 elections, Sierra Leoneans have been asking whether any party will get 55% of the votes to avoid a second round of voting. A PDF document, which is believed to have been prepared by the All People’s Congress (APC) and circulated on WhatsApp about a week ago, confidently projects that the APC will obtain 55.25% of the votes based on subjective allocation of vote shares to the party in the 16 electoral districts. How realistic is this projection? The assertion that the APC will win 55.25% of the votes and avoid a run-off suggests that the party itself is not confident of winning in the first round. A credible projection for a first round victory should have allowed for a larger margin of at least two or three extra percentage points— similar, perhaps, to what Ernest Koroma achieved in 2012 when he polled 58.7% of the votes. In this piece, I argue that there are three good reasons why the APC is highly unlikely to get 55% or even 50% of the votes in the first round of elections. First, by sacking the former vice president, Sam Sumana, the APC has alienated a large number of voters in Kono district, Sumana’s stronghold, which accounts for about 6% of the electorate. In ethnically bifurcated electorates in which the two electoral regions are roughly equal in size, small inroads into an opponent’s region can be decisive in determining winners. The APC understood this logic pretty well in 1967, 2007 and 2012 when it tried to extract Kono from the Sierra Leone People’s Party’s South-East electoral orbit. Sumana may have lost a parliamentary election in his home town in 2007, but has grown as a formidable politician in Kono, a leading revenue generating district that feels historically neglected by central government. His sacking is seen by many Kono as an attack on the Kono’s longstanding quest for adequate representation in national politics, even though they still have a few ministers and the first lady in the government. If the APC are no longer competitive in Kono, they are likely to lose most of the 67,238 votes Koroma won in the district in 2012, which constituted 5.1% of his national votes. This suggests that without a strong showing in Kono, even if Samura Kamara, the APC’s candidate, retains Koroma’s 2012 vote share in the other 15 electoral districts, he might poll just 53.6% of the votes, neccesitating a run-off. The picture from 2007 but what would be the finish in 2018? Second, by failing to appoint someone from the South and East as either standard bearer or running mate, the APC are sending a message that they can win an election without appealing to those two regions. The current vice president, Victor Foh, a Southerner, who was very hopeful of succeeding Koroma, was bypassed for a Northerner, Samura Kamara, with far weaker roots in the party than Foh, (The North has been split into two regions: North and Northwestern. In this piece, North refers to the two regions). In 2012, the APC made important inroads into the South-East with promises of infrastructure development and other incentives. They secured 20% of the South-East vote. Indeed, Koroma attracted 149,021 votes (11.3% of his national votes) from the Mende-speaking districts of Bo, Kenema, Kailahun, Pujehun, Moyamba and Bonthe, which was, indeed, much more than his performance in Kono. If the APC is comprehensively rejected in these districts, Kamara might end up getting only 47.4% of the national votes, even if he equals Koroma’s 2012 performance in the North-Western Area electoral districts and Kono. The entire South-East electoral region provided 216,225 votes to Koroma’s APC in 2012, representing 16.4% of Koroma’s presidential votes. This suggests that if the APC is overwhelmingly rejected in the entire South-East, Kamara will score only 42.3% of the national votes, necessitating a run-off, even if he equals Koroma’s 2012 performance in the North and Western Area. Incidentally, this figure of 42.3% is not very different from Koroma’s 2007 first round performance of 44.3% when he failed to secure much support in the South-East. It seems that the APC has burnt its bridges with the South-East electoral region. The infrastructure projects are not as extensive as originally projected; there are still complaints about skewed appointments in the public sector against individuals from the South-East; and living conditions, like everywhere else, are miserable. This may explain why the APC government tried at the eleventh hour to change the electoral rule of 55% to 50% plus one to avoid a run-off. The party may have reasoned that with the North and Western Area accounting for 60% of the electorate, coupled with its reduced chances of gaining votes in the South and East, it would be much easier to win on the first ballot if the requirement for avoiding a run-off is lowered to 50% plus one. However, our analysis suggests that even a 50% plus one victory is highly unlikely without strong support in the South and East. The third reason why the APC is unlikey to get 55% of the votes is the rise of new parties, especially the National Grand Coalition, which are making life difficult for the APC in its traditional strongholds in the North and Western Area. It is not clear what damage these parties have done to the APC’s electoral brand in the North and Western Area because of the absence of credible polls. 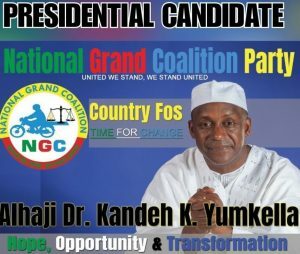 However, the APC is disturbed enough to want to get a leading candidate, Kandeh Yumkella of the NGC, who has gained much traction in these two regions, disqualified from the race. The NGC and other new parties are likely to further depress the APC vote below the 40% mark. Kamara’s vote share might be in the 30s, if the NGC underperforms. However, a very strong showing by Yumkella’s NGC could very well see Kamara’s APC vote share go down to the 20s. Kamara’s lack of passion and association with the Koroma government’s failed policies do not endear him well with the electorate. He made the biggest gaffe in the campaign during the presidential debate by stating that government, which he has served for about 30 years in high level positions, is responsble the country’s poor living conditions. His gaffe has been satirized by Sierra Leone’s leading musician, Emmerson, in his latest hit sngle, Good Do. Many also see him as Koroma’s puppet, who will be incapable of charting an independent path from his benefactor who enjoys the title of Life Chairman of the APC. 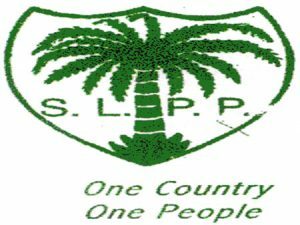 This analysis suggests that the APC, which was trying to become a national party in 2012, has joined the SLPP in reverting back to its earlier character as an unambiguously regional party. Political Scientist, Jimmy Kandeh, has written a series of short essays in which he provides a framework for thinking about the chances of the three parties in the presidential election. Two important dynamics inform his framework. The first is the lack of contestability of the APC and SLPP in each other’s putative ethno-regional strongholds. In other words, the two parties have imposed regional barriers on themselves that render them non-competitive outside their regions. By this logic, the SLPP is largely competing for the South-East votes, which are 40% of the national electorate (it scored 37% in 2012), and the APC is competing for the Northern and Western Area votes, or 60% of the electorate. The second dynamic is the competitive nature of the NGC across all regions because of its trans-ethnic character and ability to attract voters from both the APC and SLPP. This suggests that Julius Maada Bio, the SLPP’s candidate, will have great difficulties in even attracting the 37% votes he received in 2012, and Samura Kamara will struggle to get the 42.3% of the votes we projected he might get as he will be unable to repeat Koroma’s 2012 performance in the North and Western Area. If there is a run-off, which parties will be on the ballot? It is difficult to predict the parties that are likely to be in the run-off in the absence of credible polls. The three main parties have mobilised large crowds across the country. It is, however, becoming difficult to use crowd turnout to gauge voter preferences as voters may be turning out for the main parties to enjoy the incentives they offer or to be part of the fun. However, as a new party with limited funds, it is remarkable that the NGC have been able to match the two oldest parties on crowd turnout. Their candidate, Kandeh Yumkella, is a powerful speaker with a strong message, who is likely to change the vote preferences of floating voters than Bio or Samura. 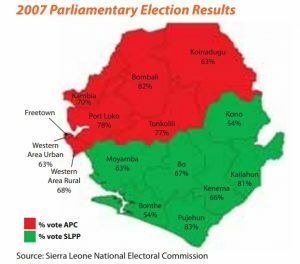 The 2012 election was fundamentally a two-party contest: both the APC and SLPP accounted for 96.1% of the votes, and the remaining seven parties could manage only3.9% of the votes. However, 16 parties are contesting the 2018 elections. Four of these parties have each fielded more than 100 candidates for the 132 parliamentary seats and a fifth party is contesting 82 seats, suggesting that the vote distribution is likely to be very fragmented in 2018. Having a large number of parliamentaray candidates can boost the vote shares of presidential candidates. If the 2018 contest is a three-way race, as we have maintained in this piece, the vote share of the remaining 13 smaller parties is likely to be much higher than the 4% vote share of the seven smaller parties in 2012. If we assume (and it is an assumption) that the 13 smaller parties today will receive 10-15% of the total votes, the APC, SLPP and NGC will be competing for 85-90 percent of the votes. This suggests that any party that scores more than 30% of the votes will be assured of a spot on the ballot for the second round. Tradition suggests that ethno-regional attitudes can be resilient, making it easier for the APC and the SLPP to get on the ballot for the second round than the NGC, which is promising a new kind of politics and cannot compete with the two oldest parties in resource mobilization. This is the conclusion of APC and SLPP supporters as well as a recent article in Africa Confidential. This outcome is plausible and should not be underestimated. However, there are two other outcomes that are equally plausible: a run-off between Yumkella and Kamara, or Yumkella and Bio. Bio’s path to victory rests on expectations that the SLPP’s South-East base will vote as an ethnic bloc in the first round, after which the party will then project a much more national profile in a run-off. While it is easier for Bio to get on the second ballot because of his party’s regional base, he has not done anything different in 2018 to improve his showing in the North and Western Area, where he received 6% and about 25% of the votes respectively in 2012. 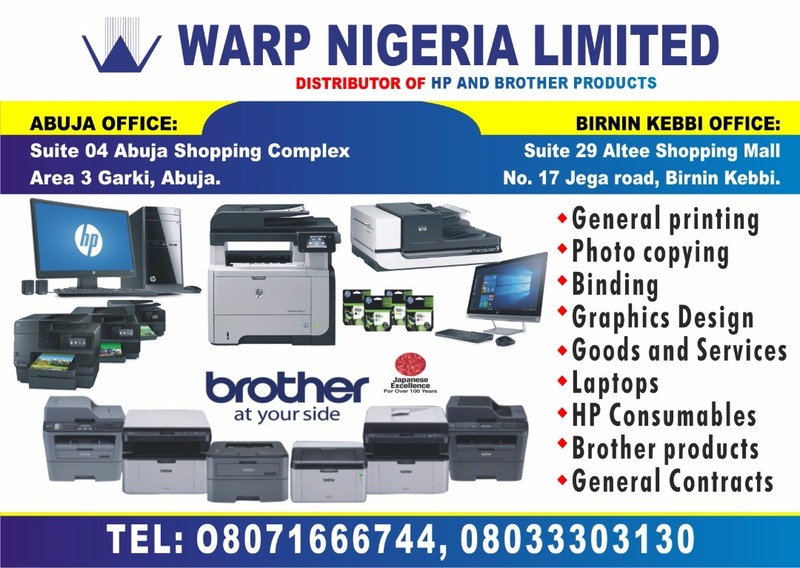 His running mate is not a well known figure in the North and Western Area and adds little value to his ticket. Bio is also still bedevilled by a historical baggage of militarism, his confession of having witnessed the torture of 27 citizens (most of whom were Northerners) and their subsequent execution without trial when he served as a top-level decision maker in the NPRC military government, and serious allegations of massive looting of public funds when he headed the NPRC for three months. A Bio-Kamara run-off is likely to transform the election into an ethno-regional contest, which Bio is likely to lose, unless NGC voters in the North and Western Area support him. An NGC support for the SLPP or APC in a run-off will greatly undermine the NGC’s message of introducing a new type of politics, and could well send the party to early death as has happened to other third parties, such as the PMDC, PDP and UNPP. Charting a run-off path for the NGC is not as straight forward as it is for the APC and SLPP. This is because of the party’s lack of history or clearly defined social constituency that has been tested over time. 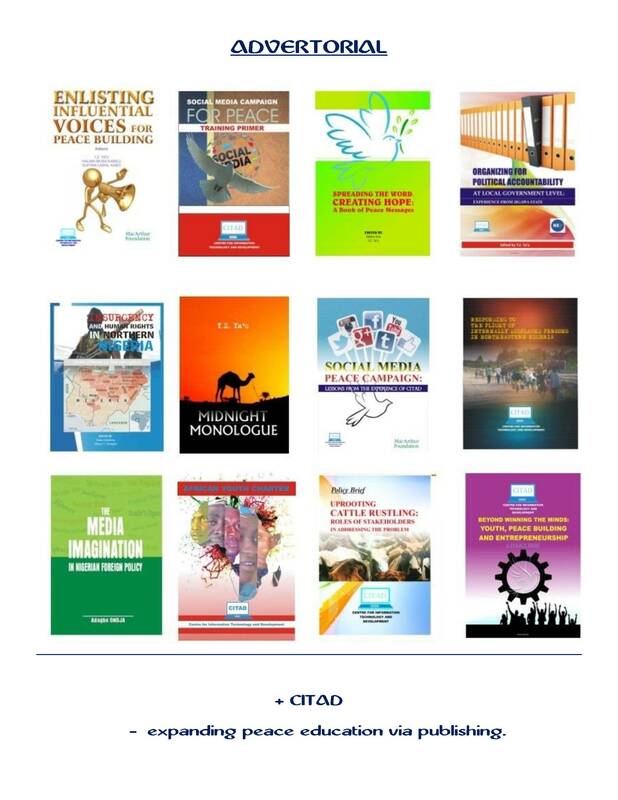 However, Jimmy Kandeh’s framework of contestation across regions and self-imposed ethno-regional barriers offers a useful guide. This framework suggests that the NGC does not have to even win any of the 16 electoral districts to get on the ballot for the run-off. All it needs is a strong second in most of the districts. Let me throw up some numbers to illustrate the point. If the three main parties are competing for 85% of the votes, the NGC would need to obtain 28% of the votes to get into the second round. It could achieve this with an extra margin (29.6%) by getting 30% of the votes in the Western Area, 35% of the votes in the Northern region, and 25% of the votes in the South and East. If the three parties are competing for 90% of the national votes, the NGC would need 30% of the votes to be assured of a place in the run-off. This can be achieved by obtaining 32% of the votes in the Western Area, 36% of the votes in the North and 25% of the votes in South and East. The NGC can also get into the run-off if it obtains 35% of the voters in the Western Area, 30% of the votes in the North and 25% of the votes in the South-East. It is very possible that the vote differences among the three parties, or between the second- and third-placed parties, will be very small. Because of its cross-national appeal and the oldest parties’ self-imposed ethno-regional barriers, the NGC is more likely than the other parties to win a run-off with either the APC or SLPP by a landslide. The historical hatred of the core supporters of the APC and SLPP makes it unlikely for each to vote for the other’s candidate in a run-off. This suggests that those who seek to end the 10-year rule of the APC are best advised to vote NGC in the first round. Dr Bangura wrote in from Switzerland qnd can be reached at Bangura.ym@gmail.com The piece is not exclusive to Intervention.